One of the best things about RVing and camping is the great food. You get up early and enjoy an entire day of hiking, swimming, and exploring, but with that comes the need for hearty meals. 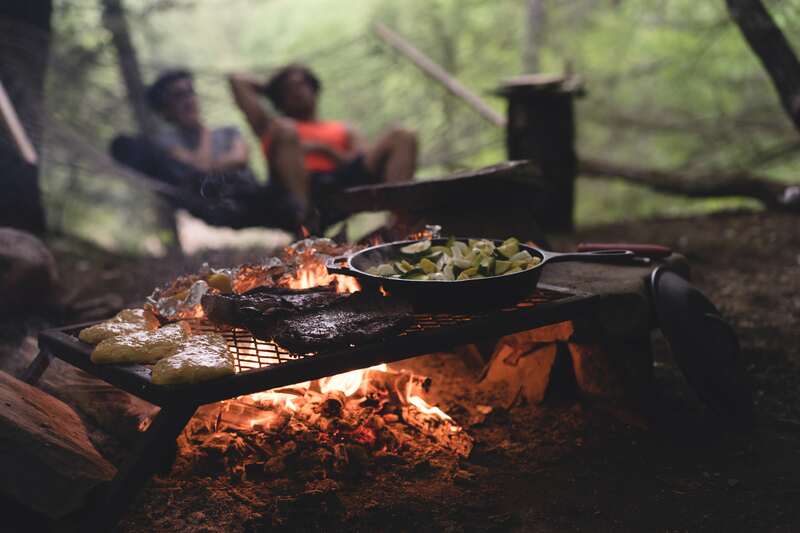 Here are some tasty recipes for RVing you can try out next time you find yourself snuggled around a campfire. Known as the most important meal of the day, how well your day goes may largely depend on how good your breakfast is. So, it’s important to prepare a delicious and filling breakfast to get you through the first part of your day. Directions – Grease a pan and press the rolls into it with your fingers. Layer the top of the dough with the sausages, potatoes, and shredded cheese. Beat the eggs and milk. Place the pan over the fire and pour the mixture over the ingredients. Season with pepper and leave in the fire for about 10 to 20 minutes. A good lunch followed by a nice nap during a vacation is hard to beat. 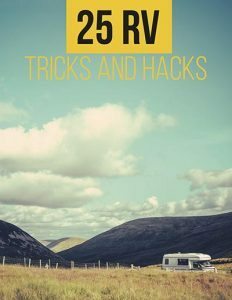 Read on if you want to know how to make a perfect and easy RV fire lunch. Perfect Burger – First pizza and now burgers? You’re on vacation, enjoy yourself a little. You can prepare a great burger over a campfire in just minutes with these ingredients. 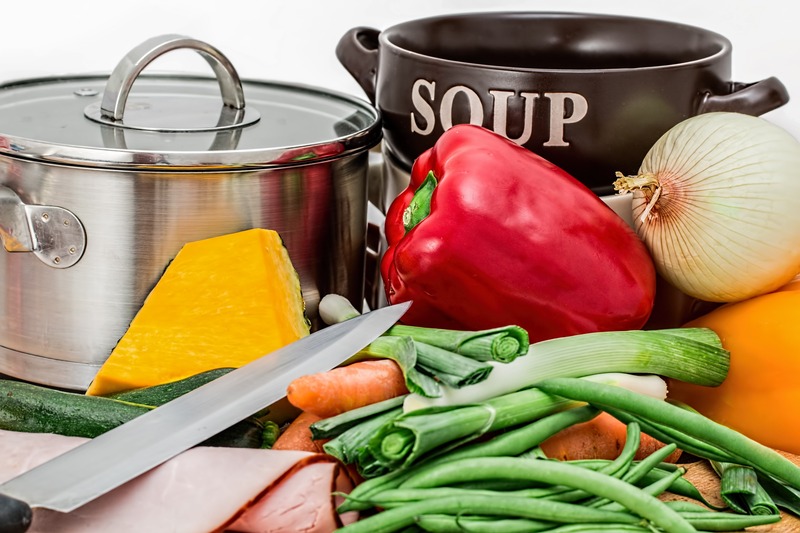 Directions – Peel and grate the onion, potato, and carrot. Mix the ground beef, the breadcrumbs, and a beaten egg. Divide evenly into patties and heat each side until it reaches your preferred style. Sitting by a campfire in the evening is a relaxing and joyful occasion for families. Making a great dinner is important for adding to the memories. Here are the ingredients for a flavorful meal the whole family is sure to love and remake for years! Aunt Helen’s Sloppy Joe – Sloppy Joe’s have got to be one of the most popular camping staples. This is a bit of a remix to the traditional dish. Directions – Cook the ground beef until it’s brown and then drain. Chop the onion and pepper and add the meat. In a bowl, mix the seasonings including ketchup, water, brown sugar, vinegar, and the Worcestershire sauce. Then simply add the ground beef and simmer for about 10 minutes. S’mores aren’t the only after dinner dessert you can have. If you’ve got a sweet tooth, here’s a perfect option. Campfire Cones – This is a yummy treat that kids and adults will love. Directions, Cut up the bananas. Spread peanut butter on the inside of the cone. Add the bananas, marshmallows, and chocolate chips. Wrap and foil and hold over the fire until gooey. BBQ Baked Black Eyed Peas – If you’ve got a vegetarian in the family, here is a great recipe to get them in on the fun. Directions – Heat the oil over the fire and add the onion, garlic, and pepper and saute until cooked. Add peas, spices, and just enough water to cover over them. Cook over the fire until the water boils, then add salt and pepper. Add the BBQ sauce until the dish becomes buttery.